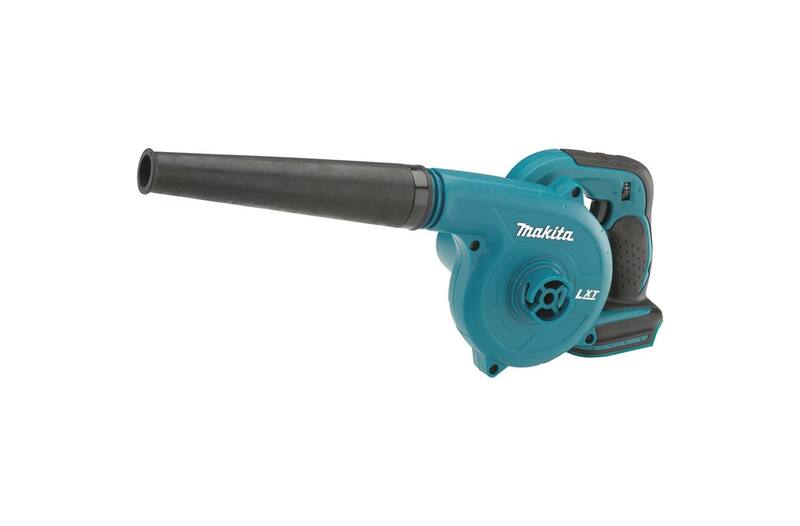 The Makita 18V LXT® Lithium-Ion Cordless Blower (model DUB182Z, tool only) is a go-to clean-up tool and a favorite on job sites and in workshops. 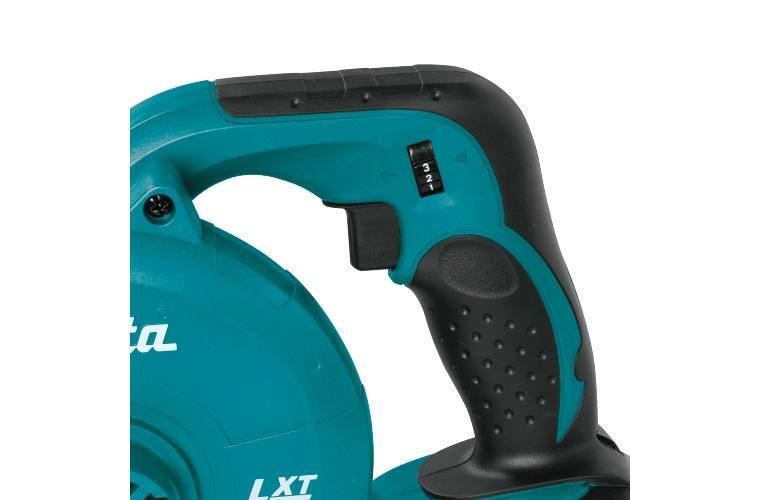 It seamlessly combines the convenience of cordless with the superior power-to-weight ratio of Makita's 18V LXT® Lithium-Ion battery technology. The DUB182Z is the perfect addition to any kit, tool bag or work shop. 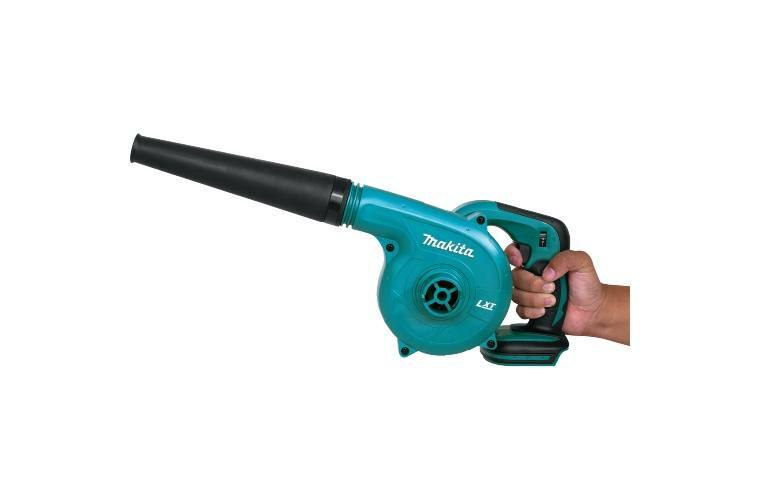 The DUB182Z features a Makita-built high torque motor with a no load speed of 0-18,000 RPM and an air velocity of 179 mph. 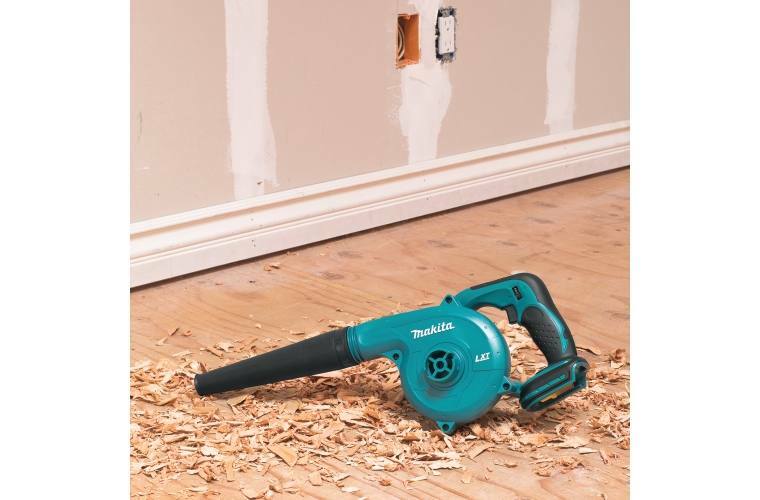 The DUB182Z has three speeds: Low (75 minute run-time); Medium (25 min. ); and High (12 min.) 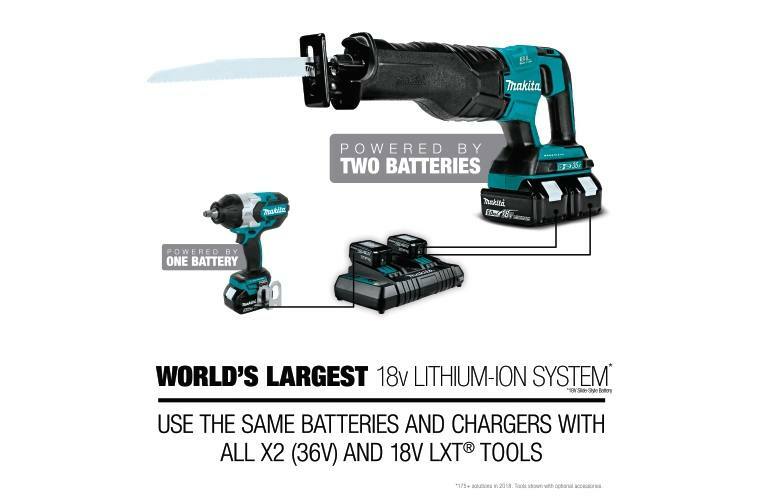 when using the full-size 18V LXT® 3.0Ah Lithium-Ion battery (sold separately). The DUB182Z weighs just 3.9 lbs. 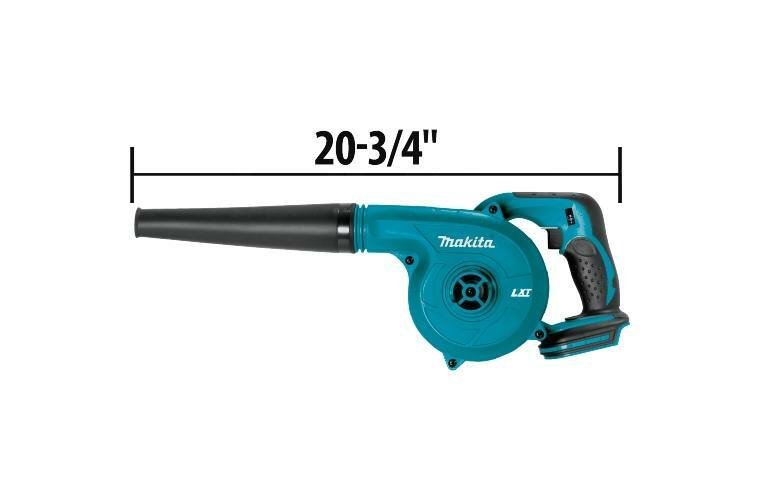 (with battery, sold separately) with a more compact design at 20-3/4" long and an ergonomic shape that fits like a glove for reduced operator fatigue. 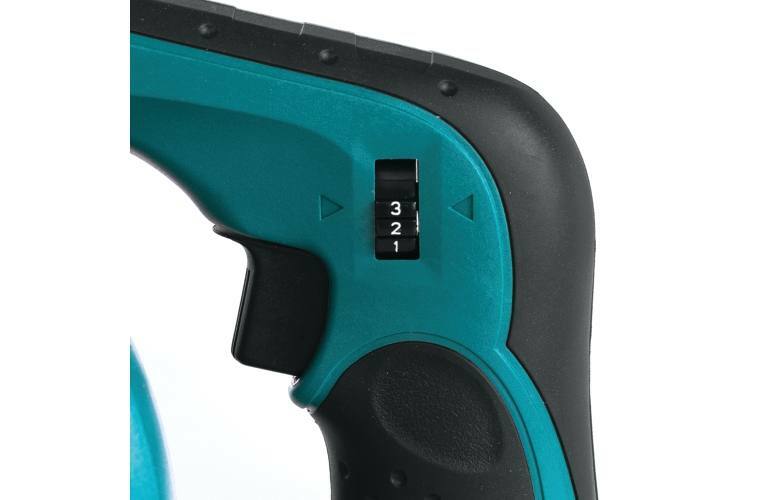 The two-finger variable speed trigger switch is easy to handle, even with a gloved hand. 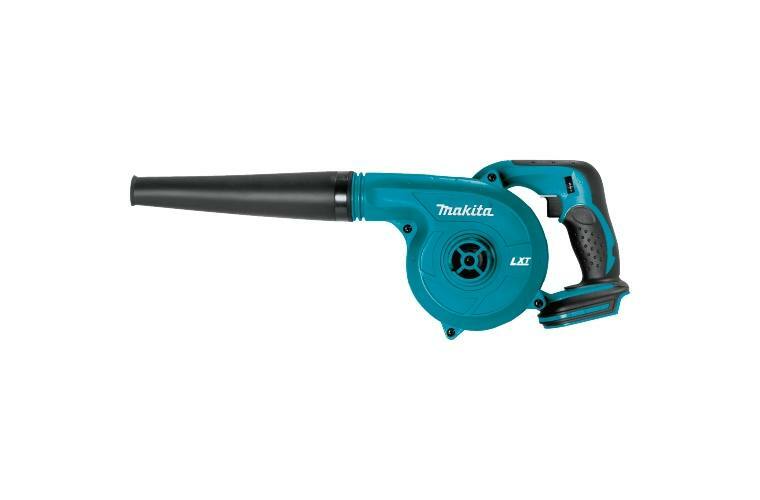 It's an all-around clean-up tool built for maintenance professionals, repairmen, remodelers, electricians, cabinet installers, woodworkers, and any general contractor seeking a cordless blower with excellent power-to-weight ratio and longer battery run time.